The one that put Big Foot Tools on the map! 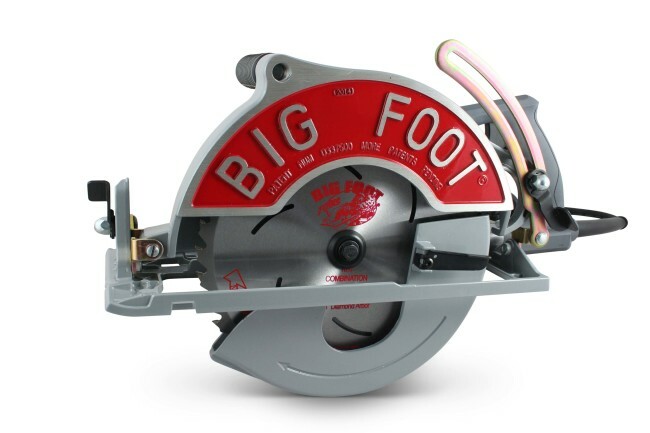 The Big Foot 10-1/4″ Worm Drive Beam Saw was designed by a professional tradesman with 27 years of practical, on-the-job, carpentry, framing and remodeling experience. While the Big Foot Saw was originally designed for cutting 2 plates in one pass, we quickly found it could also cut any 4x materials in one pass, just as easily. 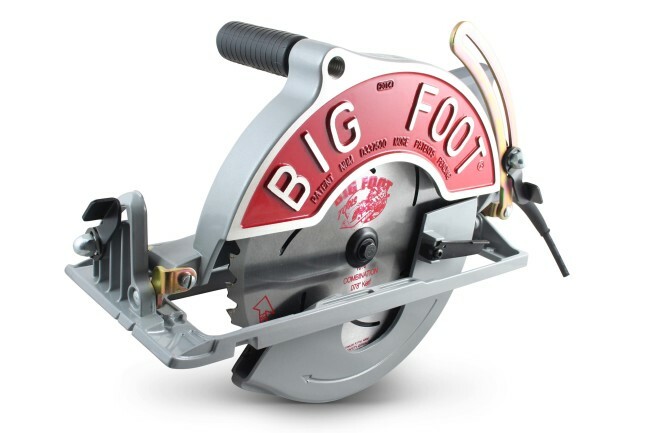 The Big Foot Saw will cut your 4x headers, double 2x sandwich headers, exposed beams for decks, porches, 4×4 fence posts and 7 sheets plus of 1/2″ Plywood with one pass. 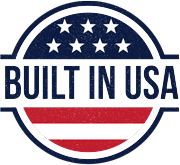 We are recognized in the industry as the original maker of a 10-1/4” worm drive machine and our many loyal customers will not accept imitations of the original Big Foot product. We’re made for frames by a framer and have a balanced machine that feels good in your hands and comfortable during long projects. We’re lighter than our competitors which is important when working all-day. We have, without question, the best blade on the market for 10-1/4” machines. We’ve struck the perfect balance between a thin kerf and the ability to make a perfectly straight, controlled cut without going off-line due to blade flex. Our blades are rugged enough to take on the toughest job-site conditions. All of the above means that your projects will be done sooner and easier, without sacrificing quality! 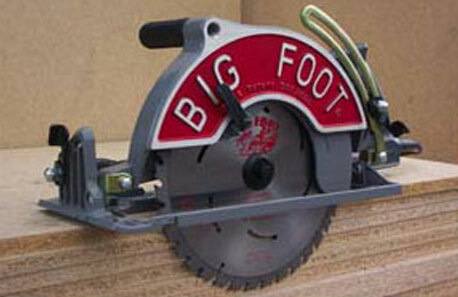 We hand-build each Big Foot Saw Here in the USA. Each one is assembled in Henderson, NV. Prior to going on a SKILSAW® worm drive motor, we tap the threads, pop the rivets, machine the faces, drill the holes and hand check each finished saw to ensure it’s nothing less than what we would want to use in the field ourselves. 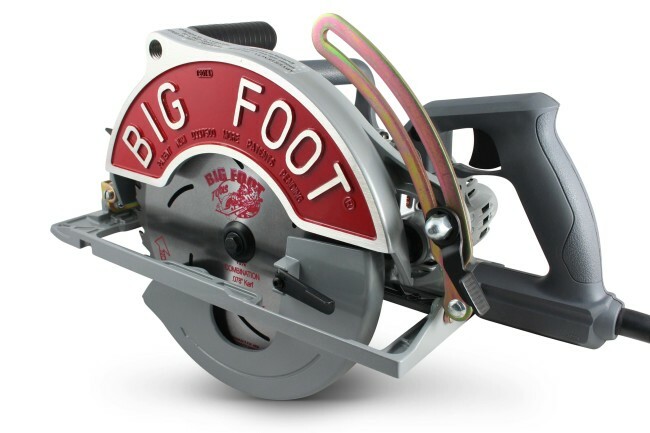 And if this incredible saw isn’t enough of a deal, we send you a free Big Foot T-shirt when you return your warranty card! The 10-1/4″ Big Foot Saw comes standard with a U-Ground cord but is also available with a Twist lock, just ask your dealer when ordering. The 10-1/4 Big Foot Saw is backed by a full 1 year warranty.